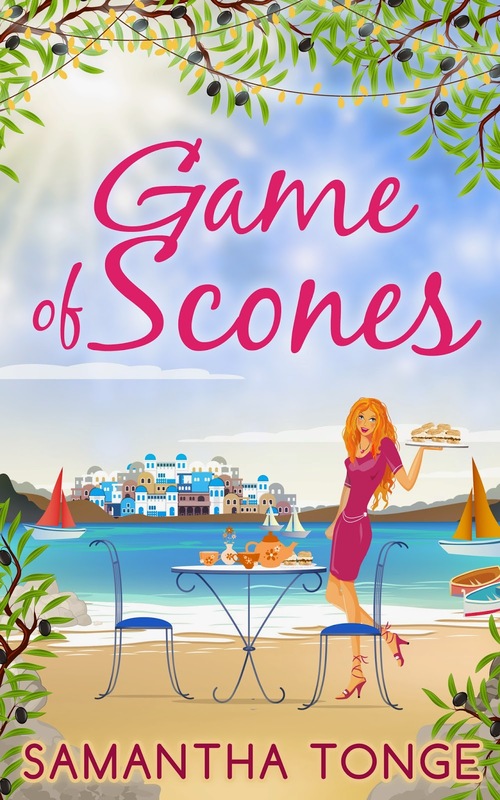 Next Monday 20th April sees the launch of my fourth romantic comedy novel, Game of Scones. And I am a huge fan of its namesake, the hugely successful series of books and TV shows, Game of Thrones. I recently discussed with someone why I love the programme so much, and I think it’s because George R R Martin succeeds in making me feel passion for the characters – be that love, hate, sympathy or empathy. Indeed, when writing my own books, I have to feel passionately about any character, to include them in the story. In my debut, Doubting Abbey, I felt a huge affection for pizza waitress, Gemma, a loyal friend who agrees to try and pass herself off as an aristocrat for two weeks, in order to win a reality show and save a crumbling stately home. I also felt strongly about uptight, superior Lord Edward, who eventually falls for her charm. In Game of Scones there are three characters who have filled my thoughts and made me experience a whole range of emotions over the last few months and I was sorry to leave the writing of the passionately created first draft, when typing The End. Firstly Pippa, a successful executive with a secret longing to leave the Rat Race and run an afternoon tea shop. She is continually torn between her head and heart and I can relate to that. Certainly as we age, life becomes more about what we should do, rather than just following our heart and instincts. On returning to the sleepy village of Taxos in Greece, where Pippa spent many a happy childhood holiday, she is reminded of what life is like in a place where families live close together, neighbours look out for each other and the simple things in life give enormous pleasure – like a fresh feta cheese and olive salad, or evening dip in the azure Aegean waters... A far cry from her fast-paced, dusty London life. Henrik is her suave, organised half-Dutch property developer boyfriend. Tall, blonde and slick, he is caring, considerate and ambitious. He takes huge pride in Pippa’s professional success and is extremely proud of her. He is also happy to do the washing-up – who could be more perfect? Except, as the story continues, we see that he does have flaws and similar to Pippa, he too has decisions to make about following his logical head or his romantic desires. Niko, the flirty, cheeky Greek fisherman who was good friends with Pippa when she was a child... Hmm, mocha eyes, caramel skin, and a devastatingly intense gaze, what’s not to like? Except that he’s clearly hiding something from the beginning and throughout the book we see him wrestle with some inner conflict. Out now from CarinaUK, Harlequin! I see… living with Nystagmus.